Don't get too excited . . . I did not make a pair of jeans. But I finally got around to making another Hollyburn Skirt! Not too long ago I was whining to Beth that I can never find suitable solid blue fabric for a skirt. And you may have already guessed her obvious answer . . . denim – it was staring me right in the face. I though about a gold top-stitching thread, and went so far as to mosey on over to the thread display, but I couldn’t bring myself to go with the contrast. I left that for the inside seam finishing! I discovered a new-to-me stitch function with this project . . . the triple-stitch. A single thread looked rather anemic on the sturdy denim, but the thicker line of matching thread looks quite nice (even if you only notice it up close). 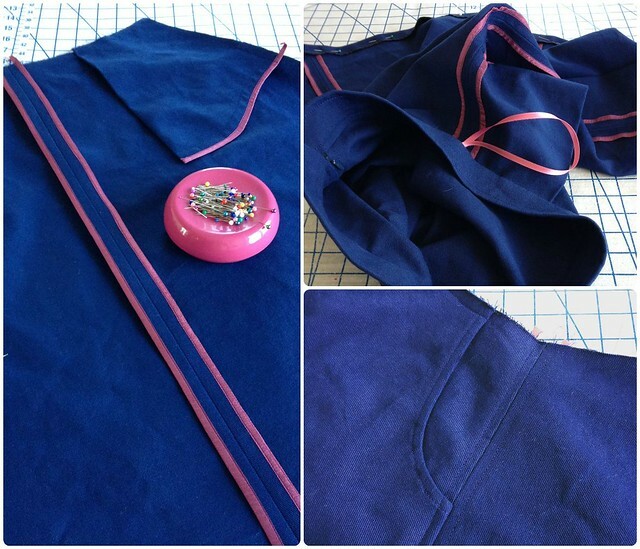 I even went so far as to top-stitch my waistband along the upper and lower edges, and the hem (although that was first hand-stitched in place – old habits die hard). And look at me making matching separates. It may not be fancy, but I have a feeling this skirt is going to get a lot of wear. Skirt: Made by me, Sewaholic "Hollyburn"
Meanwhile, the inside is a work of art! very cute! you will find that a denim skirt with pockets so useful. A good denim skirt is such a necessary piece your wardrobe! This one looks lovely on you and compliments your blouse perfectly. Beautiful skirt, and it looks lovely on you. I love skirts, and wear them just about every day, but I don't have a denim skirt. Yet. Pretty! I like the denim and Hollyburn mix. I just made my first Hollyburn and I love the shape of it. Might have to try it in a denim as well, it seems to really suit this style -- and you! Love the fit on you. I haven't had a denim skirt gir about 20 years! Maybe it's time, on the other hand I hope to finish me ginger jeans today! 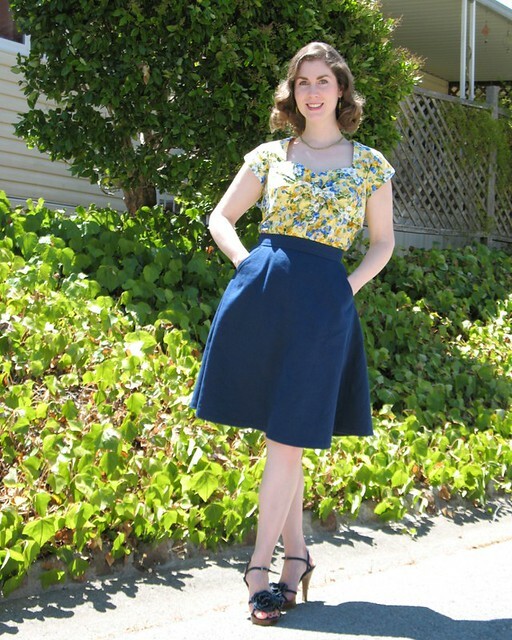 LOVE your skirt - and your outfit says "40's" to me, which is wonderful. Look at you, all casual! 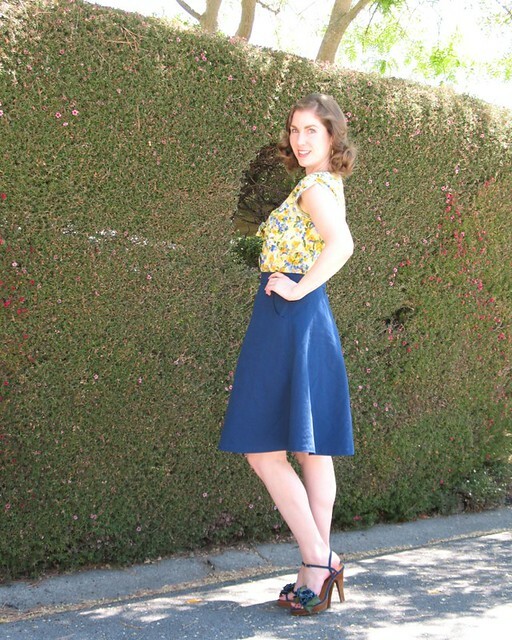 The skirt is great, and it would look wonderful with a cropped sweater in the cool months too. What a great skirt. Looks good on you!